It’s actually not a typo: this bike is not called Evoque, like the second-generation Range Rover model, but Evoke. And it has a special feature: A motorcycle frame is usually welded together from a variety of different parts. At Evoke, however, four parts are sufficient, which were also cut out of aluminum plates. 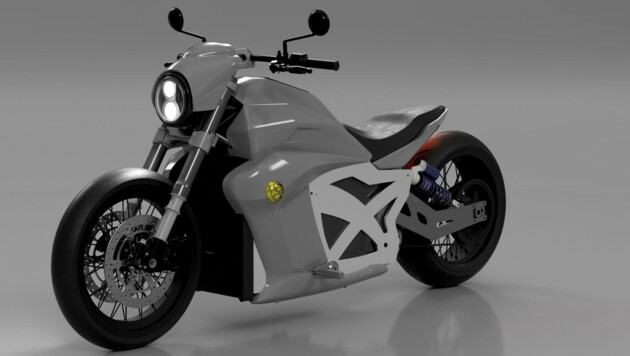 Evoke Motorcycles, a Chinese manufacturer of electric motorcycles, wants to expand its portfolio with a powerful cruiser called the 6061. 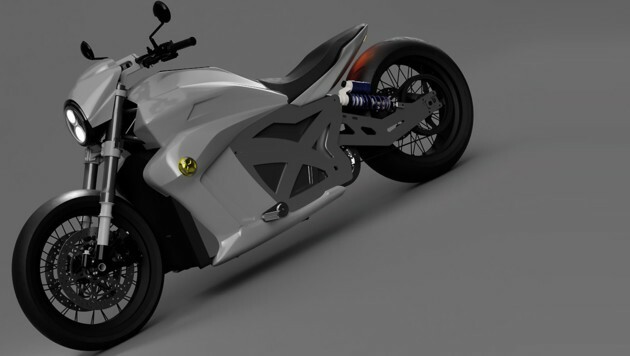 The bike combines futuristic solutions with retroelements. In addition, it has a large traction battery, which should allow long ranges. The introduction in China is planned for the end of 2019, with other markets to follow. 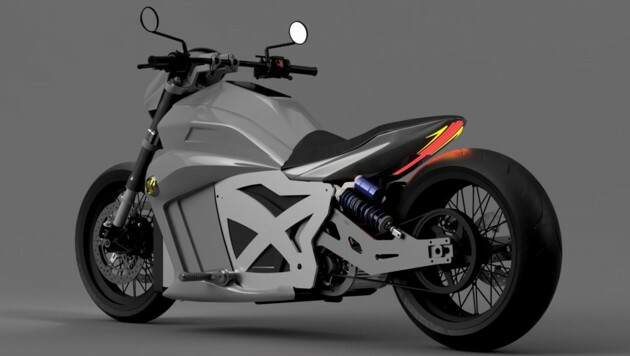 The all-electric 6061, which looks a bit like a Ducati Diavel, is characterized by an exceptional frame construction. As the model name implies, the load-bearing structure consists of two plate elements that are laser cut from hardened 6061 aluminum. In the same design, Evoke has made the parts of the rear swingarm, which is articulated by two diagonal struts. In the front, a USD fork is used. Despite some futuristic solutions sprayed the 6061 thanks to wire wheels, a tank dummies paneling and round headlights a certain retro charm. Between the frame plates, a 15.4 kWh battery and a 120 kW / 163 hp and 270 Newton meters strong electric motor were placed. The latter brings its power by belt drive to the rear wheel. Ride values ​​are not yet mentioned, but Evoke promises up to 300 kilometers range with a battery charge. The power storage should be recharged within 15 minutes to 80 percent. PREVIOUS POST Previous post: Husqvarna Svartpilen 701: Refreshingly different!